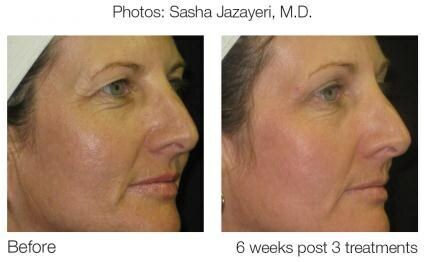 The Matrix IR Spot Treatment is particularly effective for areas around the eyes and lips. 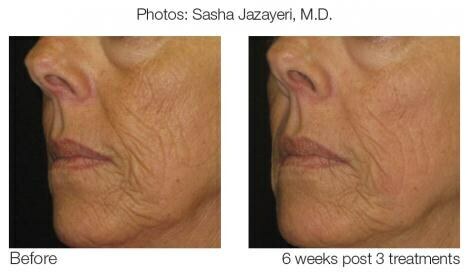 This treatment, featuring revolutionary elōs™ Fractional technology, enables you to comfortably achieve a more youthful appearance without downtime. Using a built-in cool treatment tip ensures constant skin surface protection while it precisely heats connective tissue in the targeted area stimulating collagen production and produces a firming effect in lax skin. 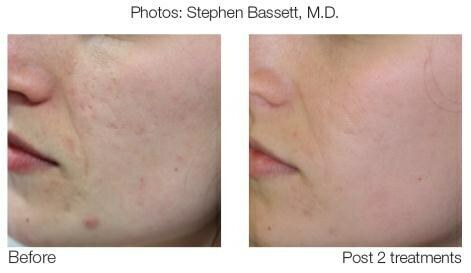 In a method safe and effective for all skin types, Matrix IR heats the dermal tissue within a targeted treatment area. This stimulates collagen production and produces a firming effect in the skin. Mild to moderate wrinkles are reduced, and the texture of your skin becomes more smooth and elastic. Most clients start to notice improvement between 2 to 3 treatments. class="page-template page-template-page-theme page-template-page-theme-php page page-id-8245 samba_theme samba_left_nav samba_left_align samba_responsive tribe-no-js wpb-js-composer js-comp-ver-5.4.5 vc_responsive"